Calling all INTJ fashionistas! The Always Uttori team has scoured the runways to bring you our favorite Fall Fashion Guide for INTJ Fashionistas. With fall rapidly approaching, it’s time to get prepared for cooler temperatures. The Always Uttori Fashion Outlook For fall 2018 features a mix of aesthetics and takes influence from both fashion forecast models as well as a number of high fashion designers, premium brands, and fast casual and street style themes. 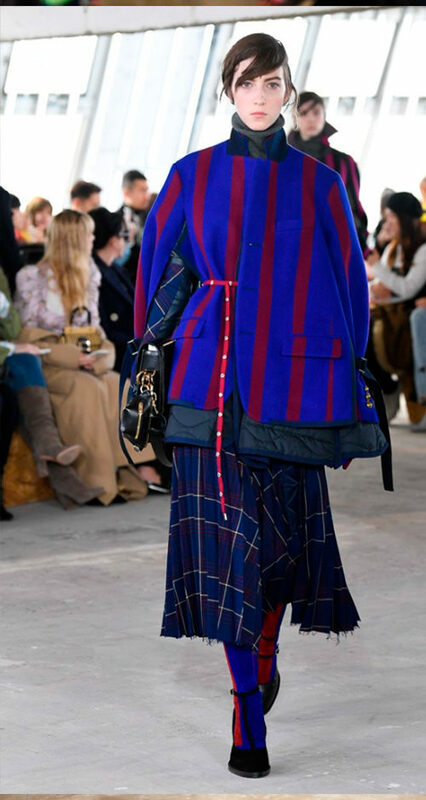 If you’re looking for the traditional colors of fall – wine, burgundy, brown, and the like, you won’t find much of it on Fall 2018 runways. 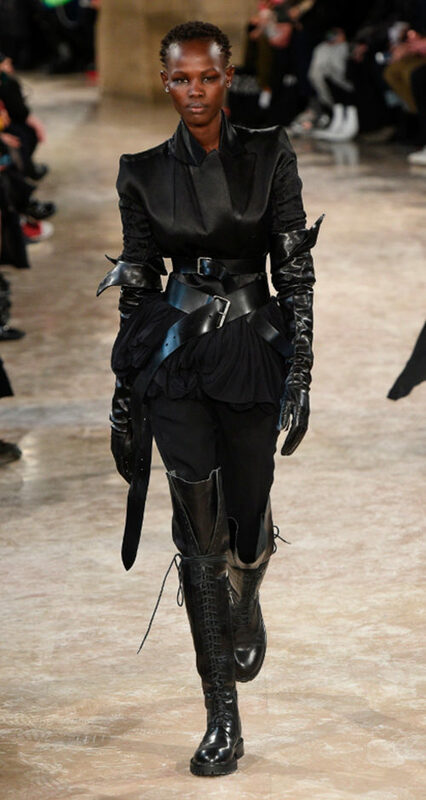 For 2018, high-end fashion designers channeled the uncertainty, fear, and unrest of the political environment by utilizing dark, more somber colors. 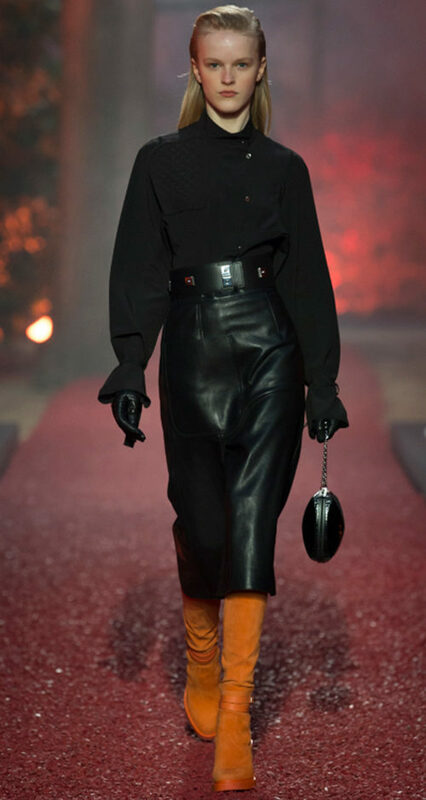 In fact, black was the new black with designers as varied as Alexander Wang, Sonia Rykiel, and Ann Demeleumeest is making the color the star of the show, as well as Hermes and Saint Laurent also using black as a foundation color. When designers did use other colors, it was often minimal, as an accent or pop of color to highlight the foundation neutrals of black, gray, white, navy, or red. Some design houses, like Balmain, chose to throw out the idea of seasonality and to focus on a futuristic or neon palette. Although many color palettes were limited, designers used the limited palettes to create sophisticated, yet edgy fashions. Grays, army (or sage) green, dark gold, and navy blue were added as accents, and a few designers chose to give a nod to optimism with bright neon accents set against a brighter color palette. Silver metallics were also used extensively. 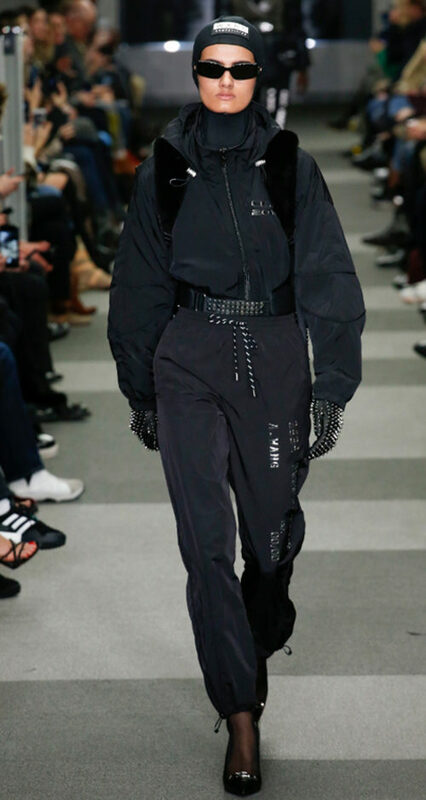 While the limited use of color can be correlated to domestic concerns and global political tensions, for INTJs, who love neutrals, and the color black in particular, the lack of the color on the runway was not a problem. 2018 high fashion silhouettes can be described simply enough. There was no cohesive trend, as micro-trends are the order of the day, especially in fast-casual. 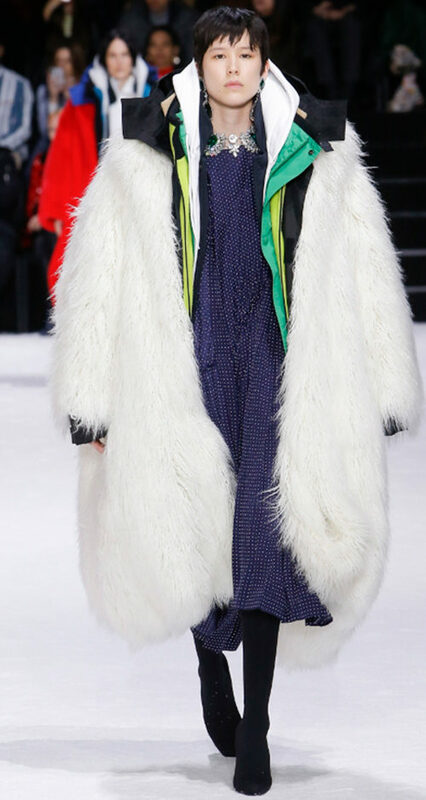 Some high-end designers have, at long last, joined the oversized trend. 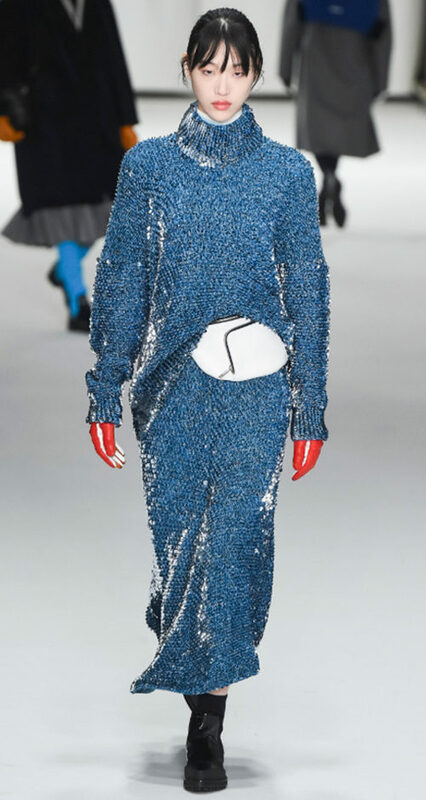 Longer skirt lengths, a hallmark of the modest trend, also showed an increased presence on the runway. Additionally, designers employed a variety of fabric techniques: from puffery, quilting, asymmetry, and a mish-mash mix of shapes and sizes on the finishing details as a way of creating a wide range of silhouettes. 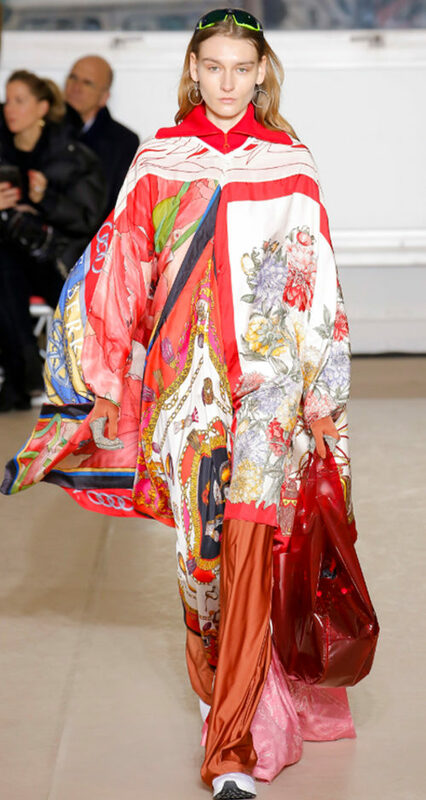 From street style to fast casual and high-end, fall 2018 patterns are a mix of handkerchief print patterns, more floral than last season’s florals, and heritage check for high-end designers, and checks and plaids for affordable luxury and fast-casual brands. Actually, who are we kidding? No matter the stripe, check is still very much on trend, and it’s only gotten bigger. 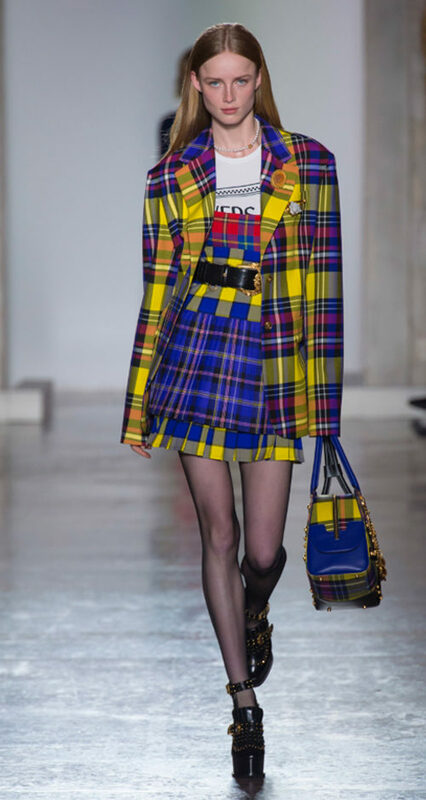 In fact, Fall 2018 ready-to-wear runways were really plaid, plaid, and plaid. There were also a few stylish logos, with Barbara Bui and Philip Plein both marking their fabric territory with their brand, and fast casual brands like Zara getting even more chatty with their tee shirts. 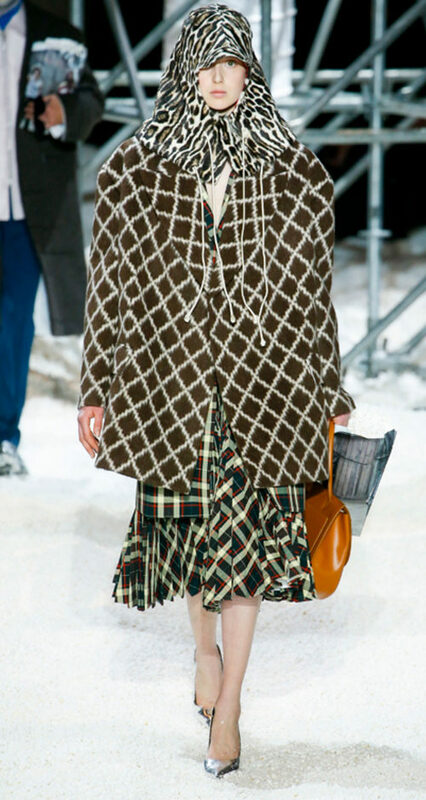 Pattern Trend: Argyle and Check | Photo Credit: Yannis Vlamos via Vogue. 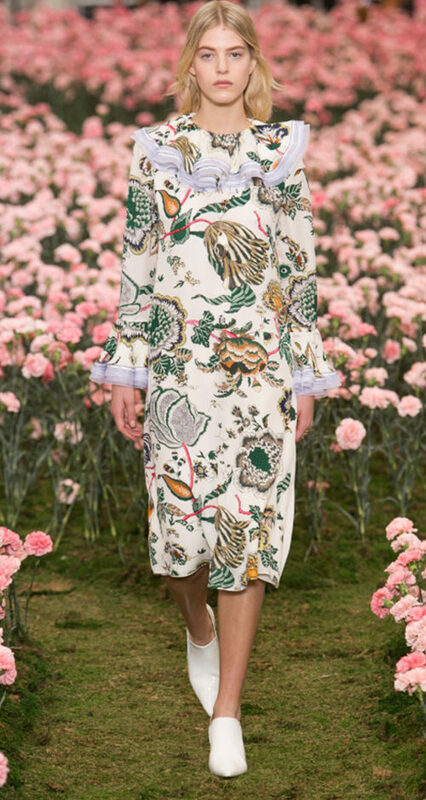 Pattern Trend: Floral | Photo Credit: Yannis Vlamos via Vogue.com. 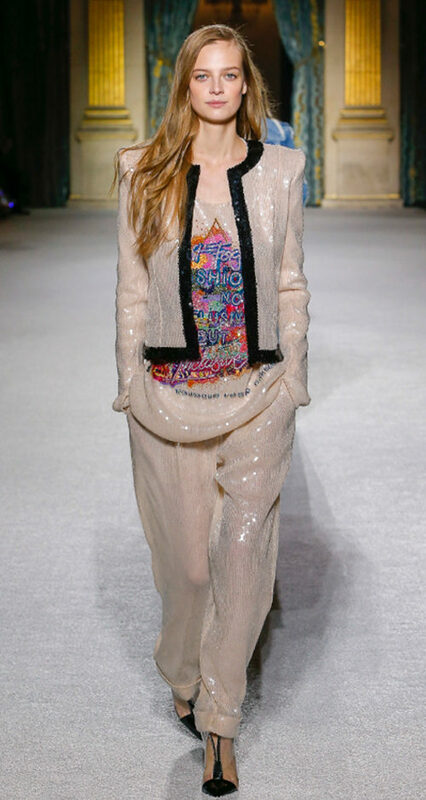 Pattern Trend: Handkerchief Print | Photo Credit: Luca Tombolini via Vogue.com. The goal of high fashion is to define and refine a fashion aesthetic to its most detailed point and then to offer a variety of interpretations on that detail. Yet, once an aesthetic like street style has been refined, can it still be considered street style? It’s a valid question, and a somewhat controversial one as high fashion borrows more and more design elements from authentic streetwear, refining the cobbled together pieces of affordability into a form of gentrified, high-priced acceptability – as opposed to the initial creativity born of the need that spawned such styles in the first place. 2018 just may be the watershed moment that hip-hop fashion not only contributes more than ever before to high fashion aesthetics, but also, at long last, receives a warm welcome as such styles have increasingly begun to produce fashion profitability and, therefore, acceptability. Designers pushing this aesthetic to the forefront of solvency and salvation for high-end design include the brands Yeezy, Off-white, and Fenty. Sense a trend here? 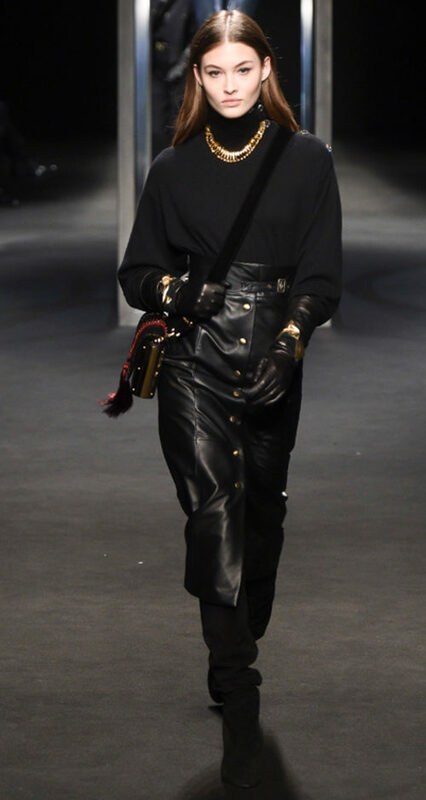 We will also give a nod to Olivier Rousteing of Balmain, though his aesthetic is, and has always been, more in line with that of the young and the fabulous, even so, Balmain’s embrace of inclusion over exclusivity (a notion that Gucci has now adopted) has breathed new life into a once-staid brand, lessening the risk of the formerly starchy, yet venerable, brand fading into obscurity. 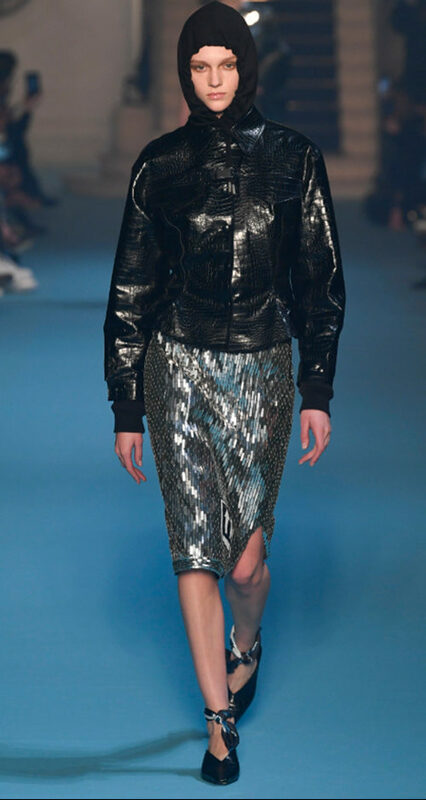 Uttori Trend Note: Heavy Metals. Photo Credit: Luca Tombolini via Vogue.com. 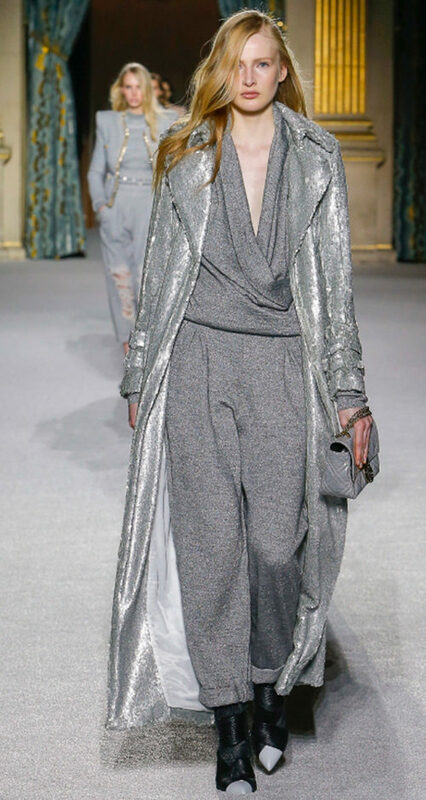 Uttori Trend Note: Heavy Metals. Photo Credit: Yannis Vlamos via Vogue.com. 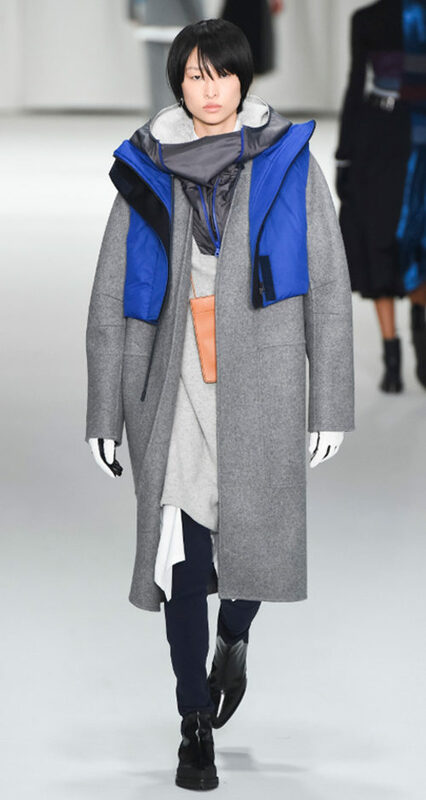 Uttori Trend Note: Check, Please. Photo Credit: Yannis Vlamos via Vogue.com. 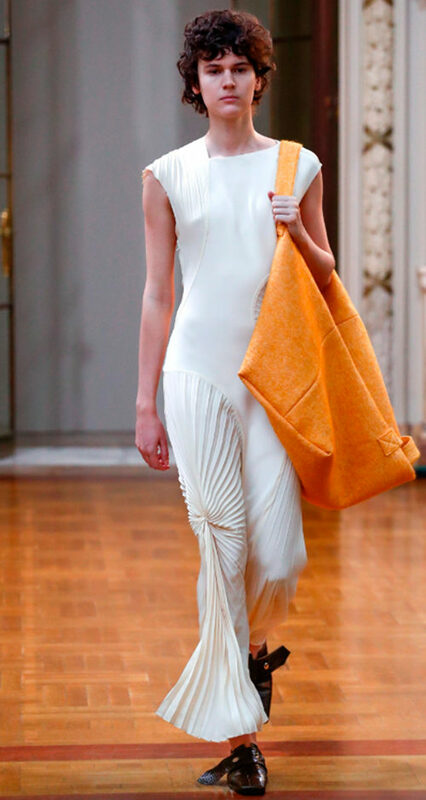 Uttori Trend Note: Cute Suit. Photo Credit: Kim Weston Arnold. Now that you know the trends, we’ve taken the runway and placed our own INTJ spin on things. 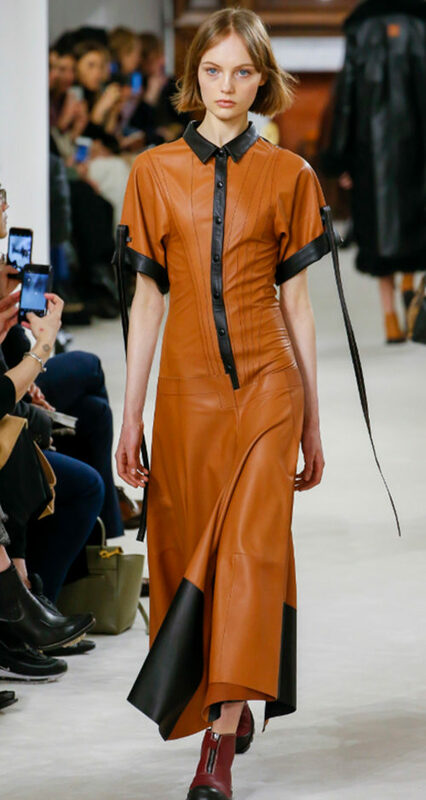 The Brief: The leather-on-leather trend was the most prominent trend on the runways for the fall 2018 season in the form of 80’s redux. Designers: Givenchy, Christopher Kane, Saint Laurent. Bonus points for ruching or frills which were also seen all over runways. Always Uttori Interpretation: Our faux leather-on-leather look may not be overly 80’s, but it’s got the cool factor of the 80’s while looking modern and chic. While many of the looks on the runway featuring this trend were black or brightly colored neon, more neutral colors make this trend wearable for the fall. The thick leather will also help protect against autumn chill, so, it’s a win-win! Get the shoes here (Contains affiliate link). 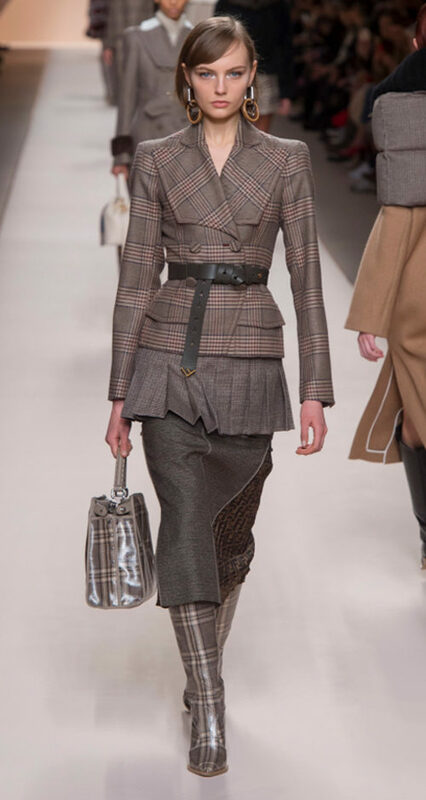 The Brief: Skirt suits were all over the runways, bringing femininity to menswear. Designers: Louis Vuitton, Dior, and Chanel. 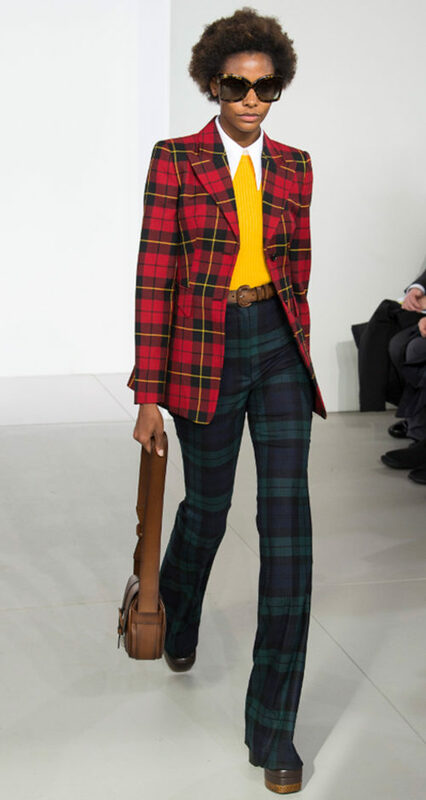 Bonus points for incorporating plaid, another popular fall trend. Always Uttori Interpretation: Androgyny is one of our favorite styles here at Always Uttori, so we had to get in on the skirt suit. It goes a bit school girl, but is always a classic and classy option for work, or for going out and about town. 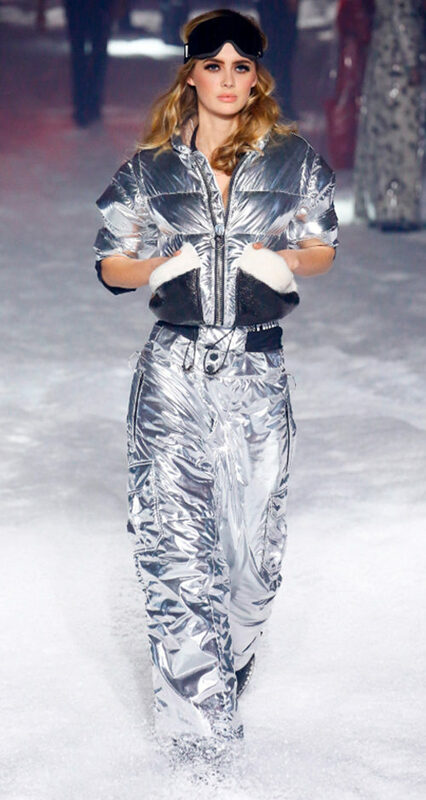 The Brief: Also called futuristic, shiny, shimmery, translucent, silver, and holographic was a major part of the fall runways. Designers: Calvin Klein, Balmain, Tom Ford. Bonus points silver on silver takes it all the way. Always Uttori Interpretation: While our shimmery futuristic dress also incorporates plaid (are you tired of plaid yet?) this look is really all about the sparkle. Get your sequins out and catch the late autumn sun as you head out for a night on the town and shine all night long. 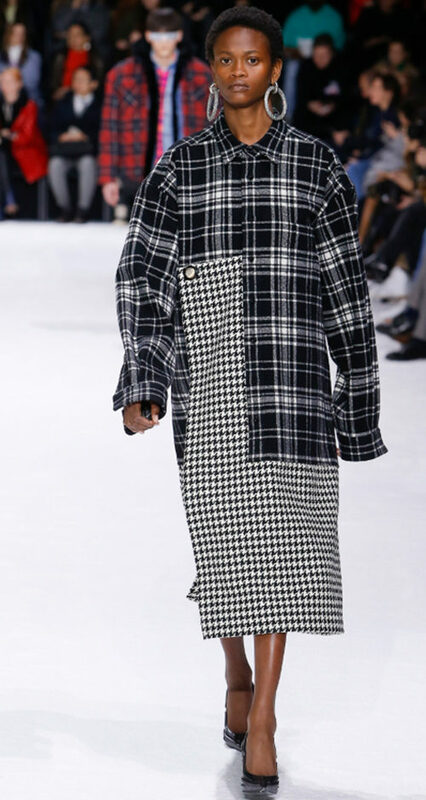 The Brief: You might have seen this trend called Saville Row or Heritage check; regardless of what it’s called, this fall trend loves all things houndstooth, glen plaid, and herringbone. Designers: Prada, Stella McCartney, Fendi. 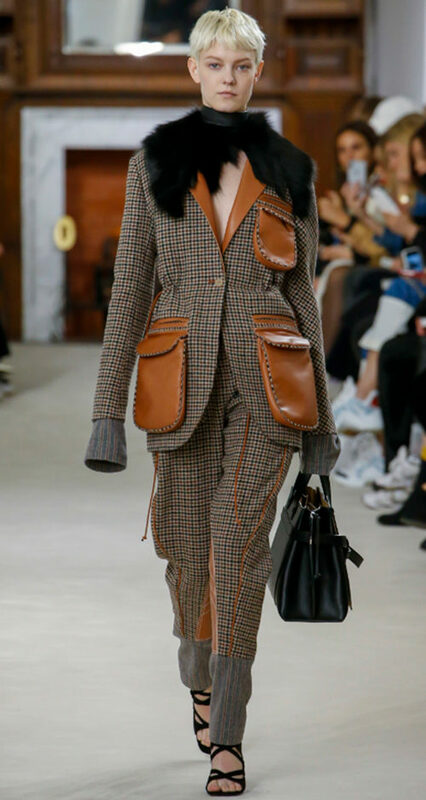 Bonus points for touches of menswear, which really adds to the Saville Row feel. 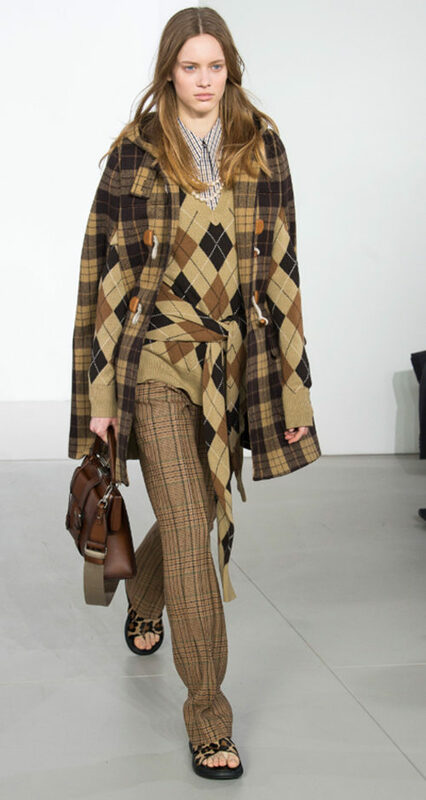 Always Uttori Interpretation: The Smart and Somber trend is covered in two kinds of plaid and incorporates some of the shiny silver trend with sequin socks. We’re piling on the trends with the oversized + layers all in one look! The overall effect comes across as an uber fashionable, very studious introvert, especially with a pair of trendy computer glasses. Love? Absolutely.